The Malbaie V residence by Mu Architecture is Located in the picturesque region of Cap-à-l’Aigle in the heart of Charlevoix, Quebec, Canada. 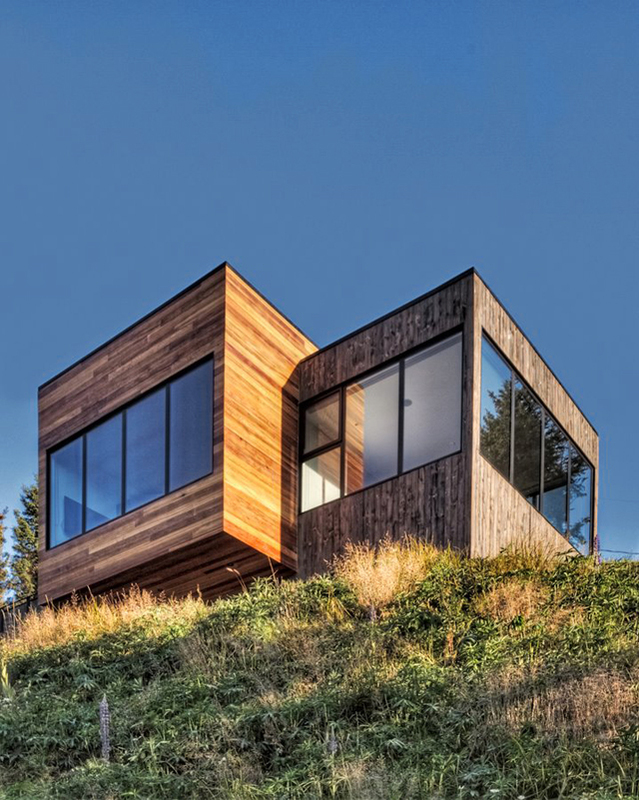 The Montreal based architecture created a stunning dwelling spot to complement the beautiful scenery. The design of the home is rectangular and made of connecting rectangular structures which are covered in planks of wood. Beyond being aesthetically captivating, extensive thought was put into the home by the architects. 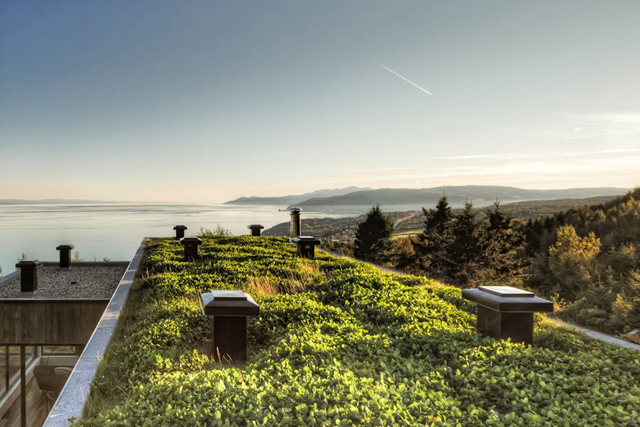 The team created a garden on the roof using plants native to the local area, they oriented the house in a manner to achieve permanent natural light as well as optimal energy efficiency, and they sought out materials which have a high degree of sustainability. 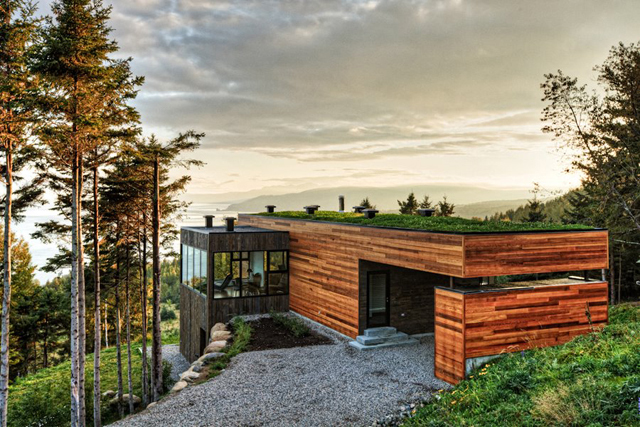 The Malbaie V house is a dream, and we are officially jealous! Sigh.